Software eats the world, right? We’ve been saying that for how long now? (1997 in my case, I think.) And we’re still transforming? Yep. That it’s taking so long is just an indication of just how hard it is for companies to change how they operate. But hard <> impossible, and we think companies could exert a little more willpower using technology to do a better job for customers. To find out the state of digital transformation, we surveyed 1,600 business and IT decision-makers in North American and European enterprises. The answer? Sorry, I’m afraid. 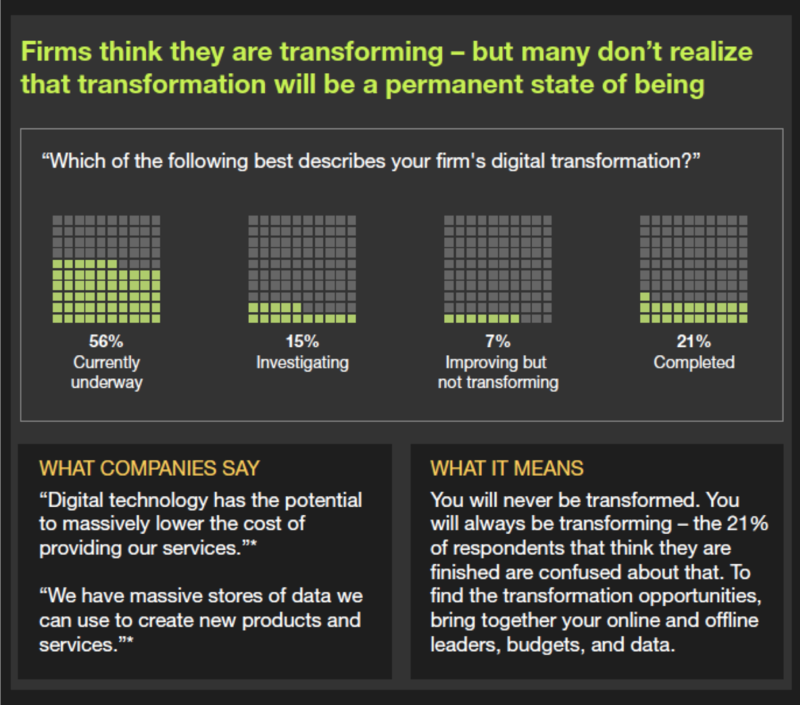 As you can see from the picture below, 21% of firms think their transformation is done and dusted. Really? Done? Another 22% are investigating or not transforming at all. And while 56% of firms are transforming, their level of investment and scope of transformation are still mostly small. For example, only 34% of banks and insurers are even bothering to transform marketing and only 45% are transforming customer care — too few given consumers’ of mass adoption of mobile devices. On the transformation concerns list is security, but only 31% of companies are worried about that. Really? 69% of you aren’t worried about data breaches? We also found it surprising that, while three of four executives think emerging technology is key to transformation, only 17% are investing in artificial intelligence. Even SaaS investments aren’t as big as they could be as 45% of companies haven’t invested in this yet, either. 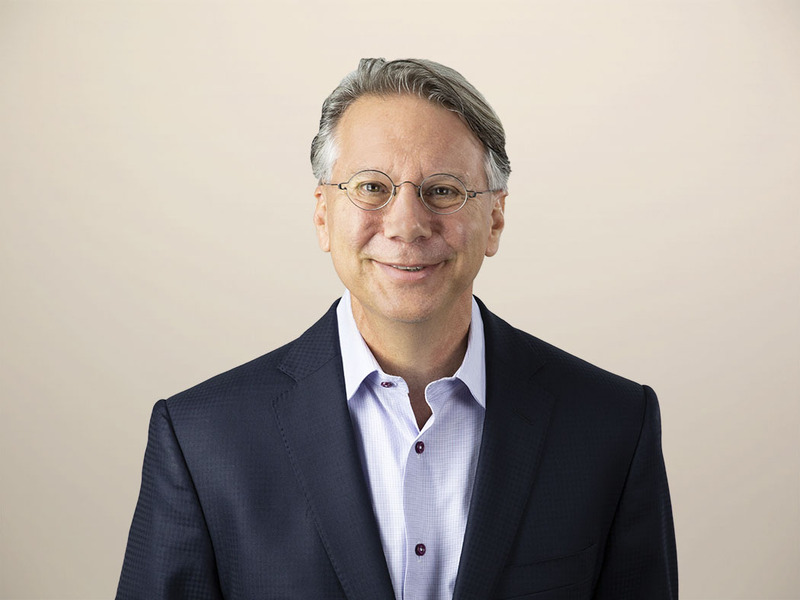 We have more to share with Forrester clients, but let us leave you with the fact that CIOs lead the most transformation in 37% of firms while CMOs lead the transformation in only 12% of companies. There’s work to do, people. Our customers deserve it.